Part 3 of the Snowball tutorial continues with the sewing and pressing stage. Once all of the snowball squares are cut, marked and pinned (see previous post 2) it's time to start sewing! 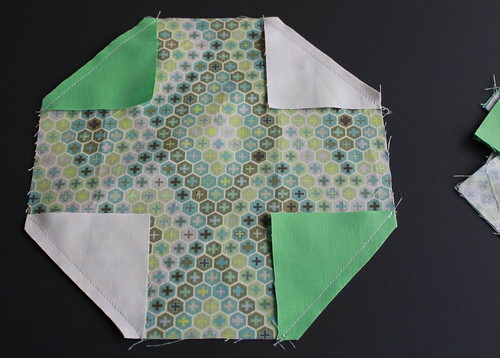 Sew each of the corner squares onto the snowball square along the diagonal lines that were drawn in post 2. I find it best to chain piece this step. 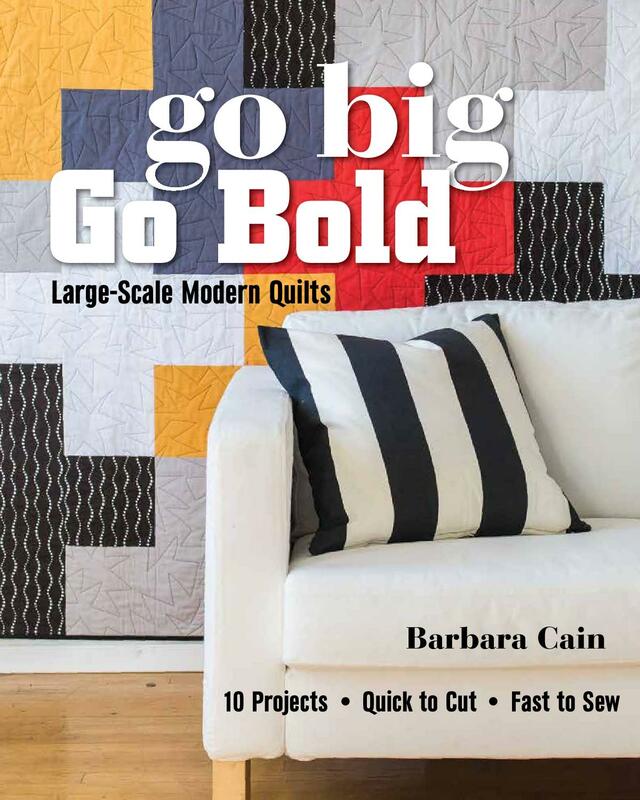 Trim away each of the fabric corners that extend beyond the sewn diagonal line. Bonus: The trimmed discards can be saved for future use. They make great half square triangles. The larger the snowball, the larger the discards. I'm not patient enough to try to work with discards from anything smaller than an 8" block but it can be done if you're game. 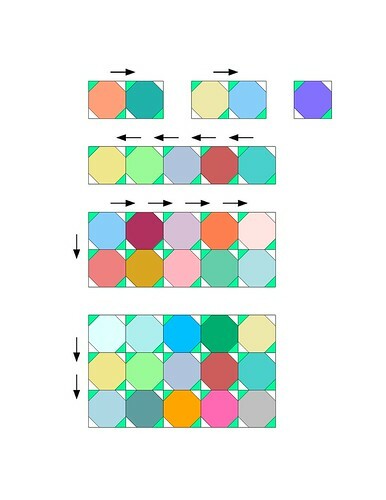 Press two diagonally opposed corners toward the center of the block, then press the other two corners away from the block. 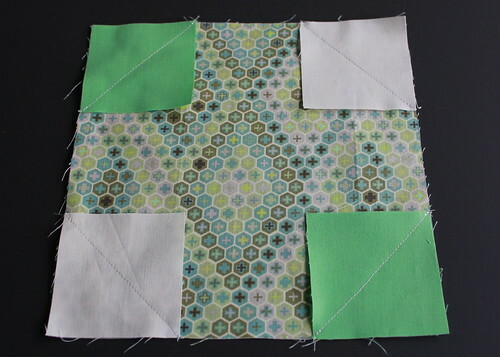 Alternating pressing direction helps when positioning the blocks to be sewn to one another. 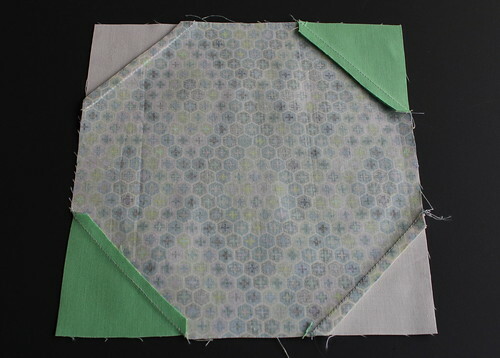 Turn the finished block to the front and note that the octagon does not yet have eight equal sides. This will be remedied once the seam allowances are taken up. Assemble the quilt top by sewing the blocks together, side by side until complete rows are formed. Press the seams between the blocks to one direction on the first row then alternate the pressing direction on the second row. 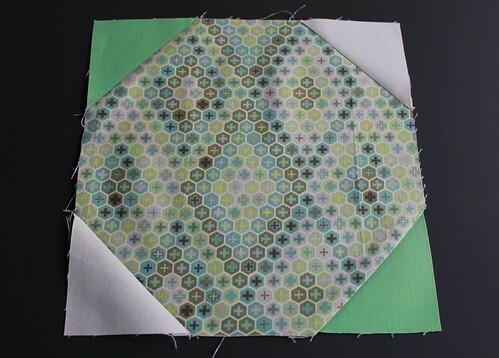 Continue sewing and pressing rows in alternate directions until they are complete. Then sew each of the rows together, pressing these seams in the same direction until the entire top is finished. Good luck with your sewing! The next post will address batting, basting, quilting and binding!